1. First, you need to plug your iPad into your computer with the provided cable. 2. When your iPad is connected in this way, your computer sees it as an external portable device. 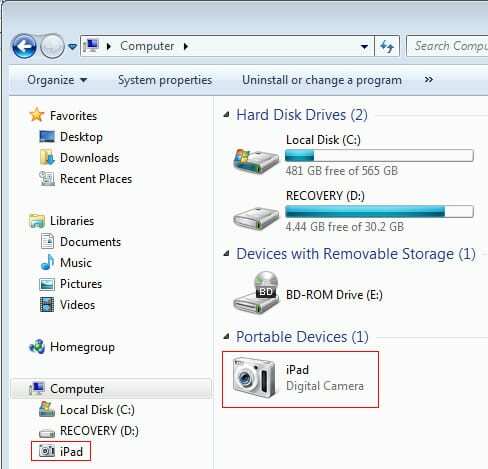 On Windows 7 for example, it sees it as a iPad digital camera. 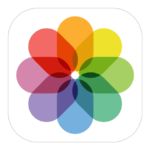 You might be inclined to drag photos into the iPad as you would do for a digital camera. But unfortunately it doesn’t work. Although the reverse is possible. 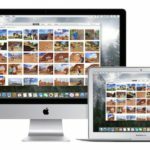 You can drag photos out of your iPad onto your computer. And you can delete photos from the iPad device via the Windows file manager. 3. 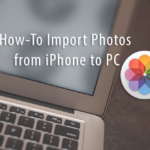 However, to move photos into your iPad, you have to sync your photos using iTunes. 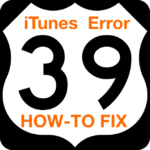 This means that you have to download the free iTunes to your computer. 4. In iTunes, select the iPad device. Then click to photos. 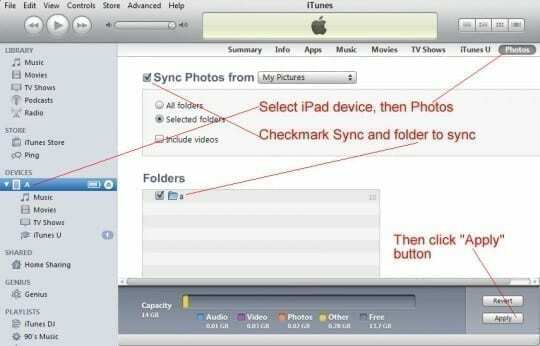 Checkmark “Sync photos” as shown below. 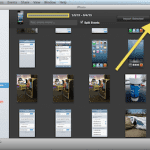 Select the folders containing the photos that you want to sync. And click “apply”. 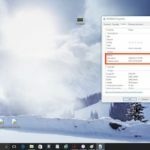 This copies all the photos from your selected folder on your computer to the iPad. 5. 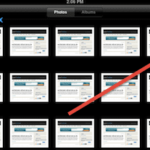 Check in your iPad Photos app to see that the photos have been copied there. I presume this same procedure can be used to move a digital movie from a computer folder to my iPad.